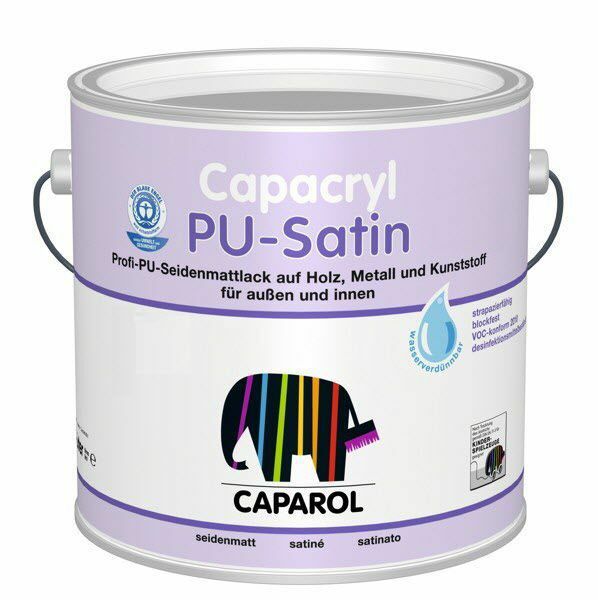 High-grade intermediate and finishing coats on primed, dimensionally stable wood component parts, primed metals and unplastizised/rigid PVC, in the exteriors and interiors. Do not use white tints on heating systems to avoid yellowing (apply Capacryl Heizkörperlack). High scratch resistance and shock strength. Resistant to normal household cleaners. (corresponds to scrub-resistant according to DIN 53778). Suitable for children toys according to DIN EN 71-3.